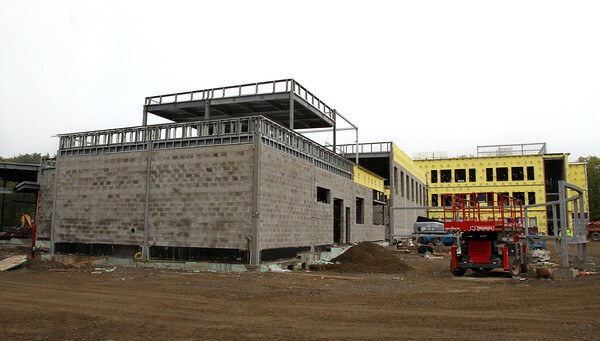 The new West Parish Elementary School continues to take shape Tuesday in Gloucester. In the foreground is the wing containing the gymnasium, kitchen, lunchroom and physical plant. In the background right is the wing containing classrooms.